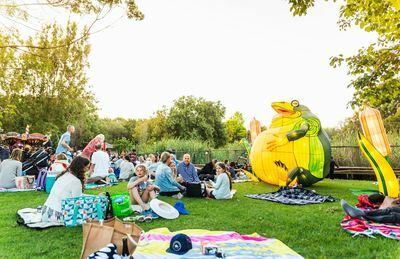 With a glowing sand sculpting exhibition, interactive light installations, lantern sculptures, roving LED puppets, and outdoor cinema floating on the lake, the Boneo Maze is the place to be this Easter long weekend. 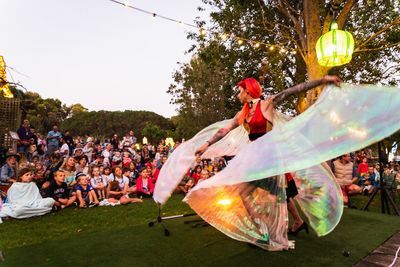 Boneo Maze on the Mornington Peninsula will come alive in the evenings with stunning light installations and lantern sculptures. 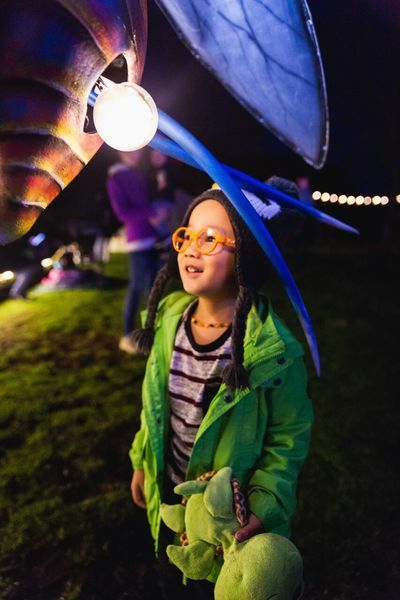 This interactive family friendly event will transform the maze and wetlands into a night time autumnal wonderland with activities, workshops and some spectacular lights and entertainment the whole family can enjoy. 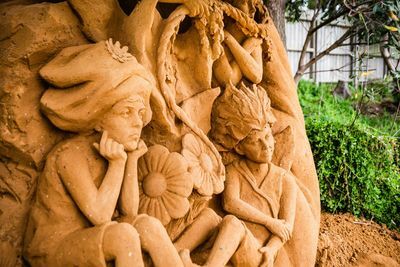 Stroll along the waters edge or catch a ride on the mini train to see the Peter Pan sand sculpting exhibition, all lit up with light projections. Continue your journey through our night maze or sit back and relax in the outdoor cinema. 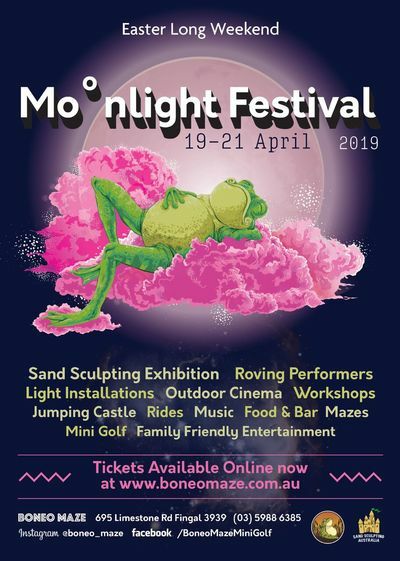 Enjoy roving performers, workshops, family friendly entertainment, music and a round of twilight mini golf too. The Boneo Maze has a bar serving local beers and a selection of Peninsula wines, plus a range of delicious food options and coffee caravan. Tickets are $30 per person, all ages although children under 3 are free. Mini golf is an add on ($10pp) and note that the ticket does not include food or drinks. Tickets will only be available on the night if they have not sold out prior, so it's best to book online to avoid disappointment. When: 19 - 21 April, 2019. 6 - 10pm.